But that’s when God stepped in. Our marriage was on the brink of ruin; in danger of becoming just another statistic. But when we found the courage to look each other in the eye, we knew we still wanted more. We recognized the hidden embers of hope, buried deep inside. Sadly, we had no comprehension of how to move our relationship in a positive direction. I recall the one visit we made to a marriage counselor who affirmed much of what we already knew—it was his fault. And it was her fault too. The therapist encouraged both of us to make some changes and reprioritize what was important. When he asked if we’d like to schedule a second appointment we declined in agreement, both of us somehow knowing the Holy Spirit would take it from here. Let’s back up a few steps. The pain of marital separation was colossal: a hollow sort of emptiness where despair echoed through our hearts and minds. We believed separate lives would bring relief, but instead, it brought a measure of hopeless anguish neither of us expected. We believed separate lives would bring relief, but instead, it brought a measure of hopeless anguish neither of us expected. Alone in our separate beds, each of us, unbeknownst to the other, turned to prayer. In the desolate silence of night, we cried out to God and asked for His direction and help. 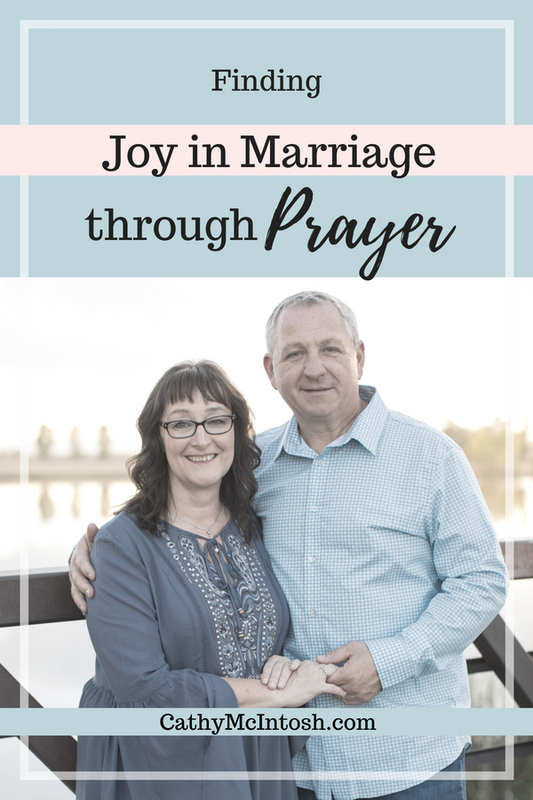 We began to intercede for our marriage, for our own hearts and, yes, for one another. That’s where the healing started. 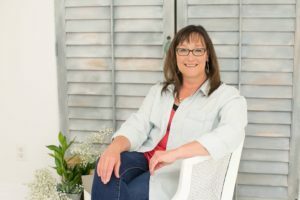 Long before our visit to a marriage professional, God began drawing us individually to Himself, whispering to our spirits, “Remember me.” My husband admittedly hadn’t prayed for years. I was an untrained rookie, but we independently began distinct conversations with our Lord and Savior. By the time we attended that counseling appointment, heavenly, solid groundwork was already in place. It surprised us. The last thing we expected as we left the counseling center was the agreement that we didn’t need more professional help. That decision was insanely counter-intuitive, but we each had supernatural peace. Over the weeks, months, and years that followed, the Lord helped us re-establish a friendship and learn to laugh together again. We re-engaged with a local church, attended marriage retreats and events, and drew close to God. As we let our guards down, we eventually found a way to feel safe in each other’s company. We learned to trust again. It took time and effort, but the Lord knit our hearts together in love. We watched, day by day, as the Lord transformed us, just like He said He would in Romans 12:2 which reads, “do not be conformed to this age but be transformed by the renewing of your mind so that you may discern what is the good, pleasing, and perfect will of God” (HCSB). Through prayer, God renewed and transformed our minds into alignment with His. We recognized that a whole and healthy marriage was the good, pleasing, and perfect will of God. 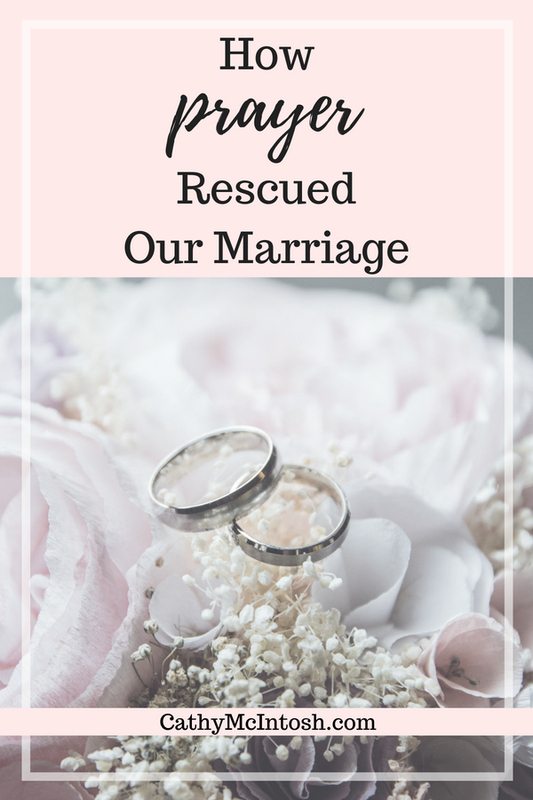 Mike and I declare without hesitation that prayer rescued our marriage. We almost lost it all, but the Lord held us together. Our marriage didn’t just survive, it has flourished and prospered, bringing joy and unimagined blessings along the way. Soon we will celebrate our 31st wedding anniversary and we eagerly await the decades we will continue to add to that number—until the Lord calls us home. We’re still on the journey of drawing closer to the Lord and each other. Our learning curve is far from over because we’re still two imperfect people doing our best to live together in love and unity. We have a lot of great days but still face some terse and challenging ones too. One Piece of Advice… Pray! The Lord is never wrong. What He put together, no man can separate. He has a good plan for us—not a plan of destruction but one of hope. The enemy of our souls despises what God has ordained—including our marriages. The enemy is on the prowl, seeking whom he can devour and destroy. Any marriage can survive when God is given His rightful place as head of the home. The Lord worked miracles in our marriage. He is willing and able to work miracles in your marriage too. If you open the door and invite Him into your marriage now, a lot of heartache can be prevented. If you open the door and invite Him into your marriage, a lot of past hurts can be healed. 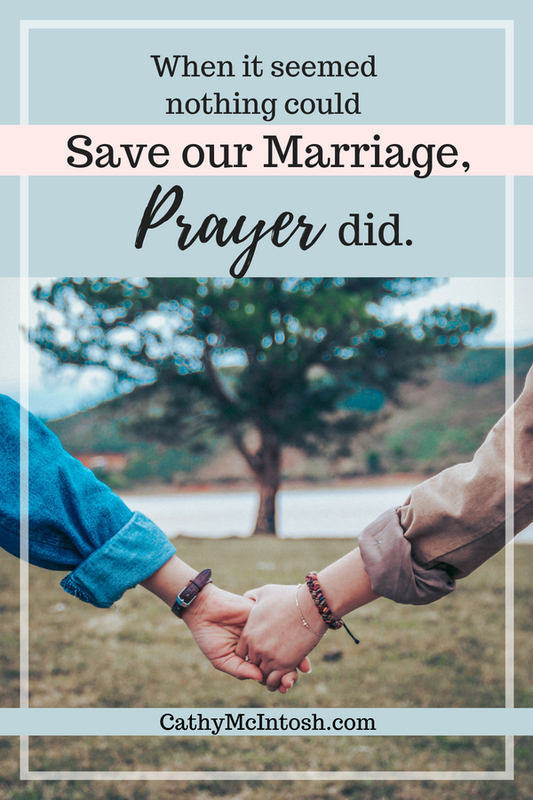 Start praying right now, and never stop praying for your marriage. 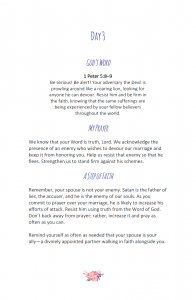 The Apostle Paul offers great encouragement in Ephesians 6:10 by declaring that we can “be strengthened by the Lord and by His vast strength.” In verses 11 through 17 of that same chapter (read that passage here), Paul instructs believers to put on the full armor of God so that we can resist the plans of the evil one. His final instruction in this section of Scripture is to pray. Verse 18 says, “Pray at all times in the Spirit with every prayer and request and stay alert in this with all perseverance and intercession for all the saints” (HCSB). Again, can I encourage you to begin praying right this minute? 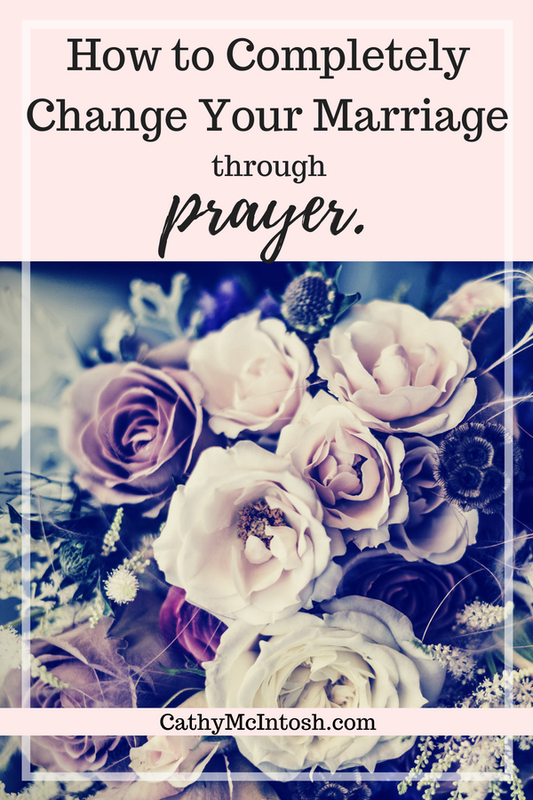 Like me all those years ago, you may feel like an untrained rookie when it comes to prayer. You may struggle to know how to approach God’s throne of grace with confidence. 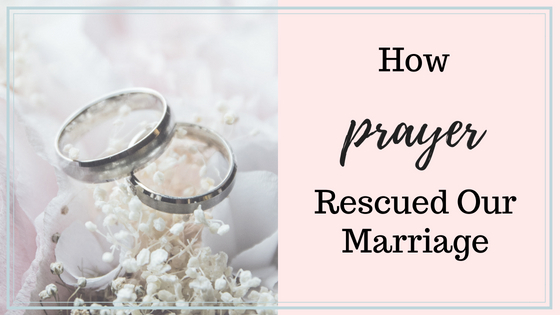 Or you may consider yourself a prayer warrior but find you need some encouragement in interceding for your marriage. There are times when we are too close to a situation to know what to pray. I’ve been there—where my heart felt too crushed to express my needs. I’m thankful that the Lord gives His Word and we can use it to form our prayers. I’m also thankful that the Holy Spirit intercedes on our behalf. 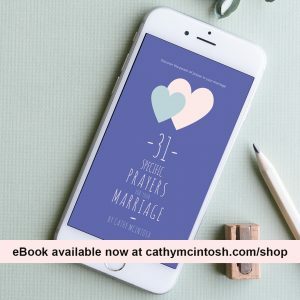 To help as you take what may be the first steps of praying for your marriage, or to encourage you as you deepen your commitment to prayer, I have created a special resource: an e-book titled 31 Specific Prayers for your Marriage. (Take a look at the sample to the left.) It’s a project 31 years in the making, designed to draw you toward God’s hope and promise in your marriage. When I look back on nearly 31 years of marriage and consider the magnitude of what the enemy tried to steal from us, it brings tears to my eyes. I feel an overwhelming sense of gratitude for the Lord’s action and intervention in our marriage. I want you to feel that same sense of gratitude and help you witness the Lord’s faithfulness on your behalf. He’s waiting to hear from you in prayer. And the sooner you invite Him into your marriage, the sooner you’ll begin to see His fingerprints, which bring His healing touch. 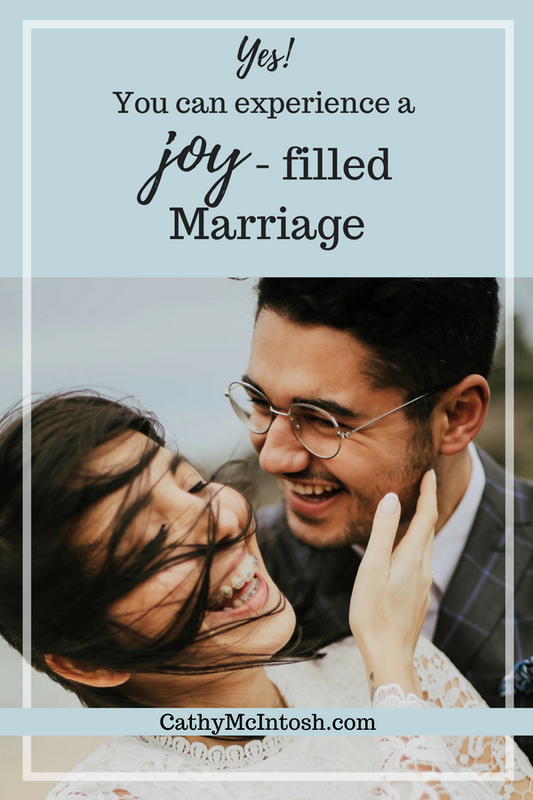 I can't wait to send you 7 Simple Ways to Add Joy To Your Marriage This Week! 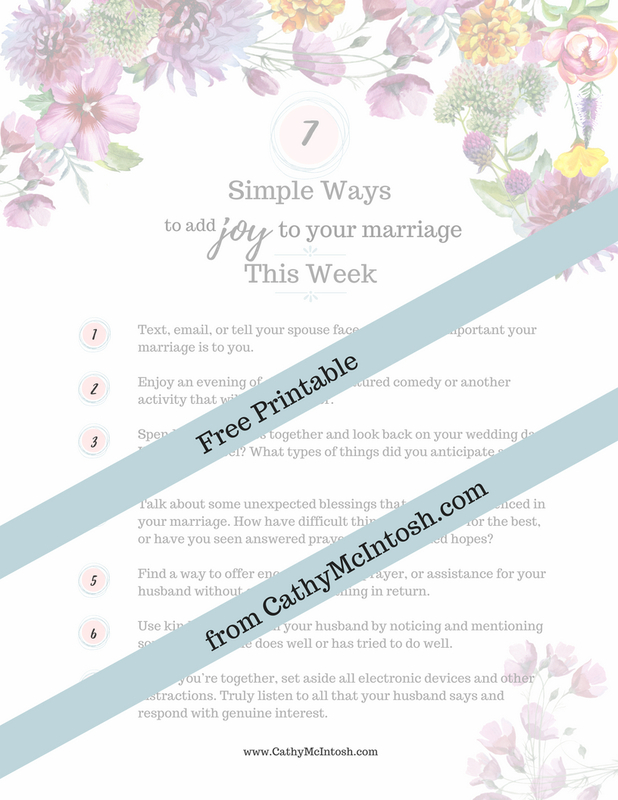 When you subscribe, you’ll receive a free printable: 7 Simple Ways to Add Joy to Your Marriage This Week as my gift. Going forward, you’ll receive ministry news and updates delivered right to your inbox! Finding joy in marriage comes with great challenges. If you’ve been married longer than one day, I’m sure you realize that. There are many times when joy flows freely and our hearts feel full of love and respect for our spouse. Other times, marriage is one of the most difficult parts of life. As we keep the Lord’s purposes in mind, marriage represents the relationship between Christ and the church (His bride). Even Scripture calls this a mystery. And yet we know that God created the institution of marriage and it can yield blessings beyond our imaginations. In our 30 years of marriage, Mike and I have lived in nearly every spectrum, from unimaginable difficulties to overflowing blessings. I’m happy to say most of our years were full of love and laughter, but for a few of them… the despair and heartache seemed nearly unbearable. I’ll say this: I’m glad we hung on. During times when we wanted to give up and move on, I’m so happy we stayed. My husband is a gift from the Lord—a divinely appointed partner to share life alongside me. No one (except God) knows me as well. No one can calm me down or fire me up like Mike. We are each other’s allies, friends, and champions. But it hasn’t always been that way. 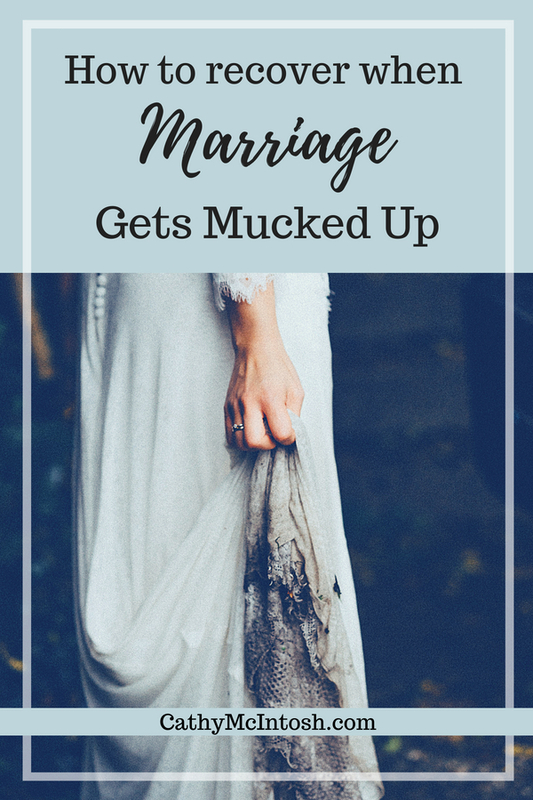 Next week on the blog, I’ll share how Mike and I overcame our most challenging marital season so you’ll want to come back and hear that amazing tale. Today’s post kicks off a short series on marriage in celebration of June—the wedding month. Long ago, weddings were scheduled to coincide with annual baths. It seems there was just one time a year when thorough baths were given (I can’t imagine what that means—maybe the use of soap??) and that was in May or June. Brides wanted to smell fresh on their big day. Or perhaps it was the groom who wanted the bride to smell fresh. Anyway, they planned the ceremony accordingly. The tradition of carrying flowers stemmed from an attempt to hide any residual body odor. Even though we bathe regularly throughout the year, Mike and I married in June. It’s a great honor to also share our anniversary with our daughter and son-in-law. 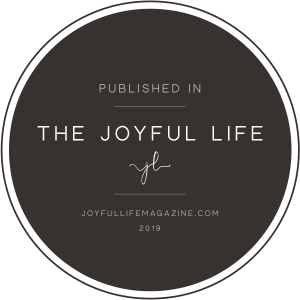 In celebration of the month of weddings and for two upcoming family anniversaries this month, blog posts will focus on the joys of marriage—and how to find God’s joy when things don’t look beautiful and rosy. I wish I could say there were “easy” shortcuts, but there are none. 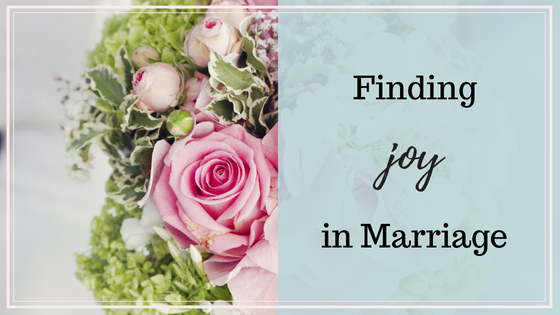 Finding joy in marriage takes dedication, work, and unending effort. But it is oh, so worth it (or as my daughter often says, “hashtag worth it!” Yes. It’s #worthit. 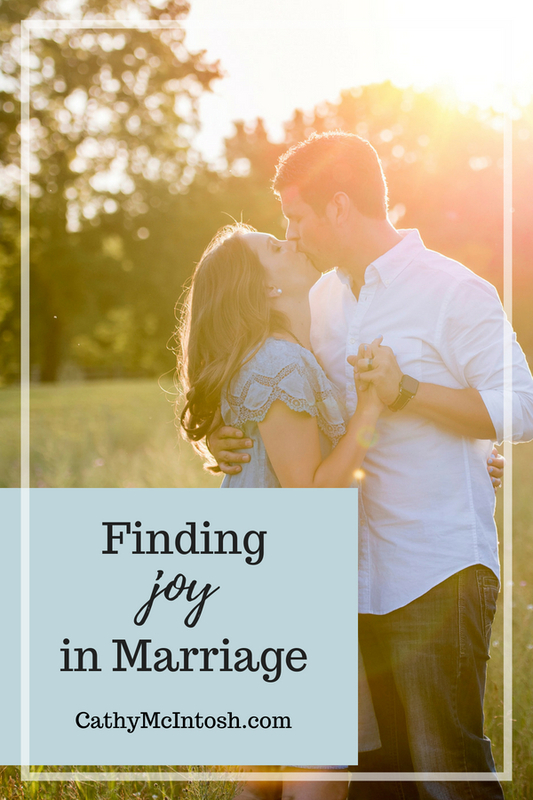 Finding joy in marriage isn’t easy, but it doesn’t have to be complicated. There are simple things we can do—practices we can adopt—that can make a huge difference. 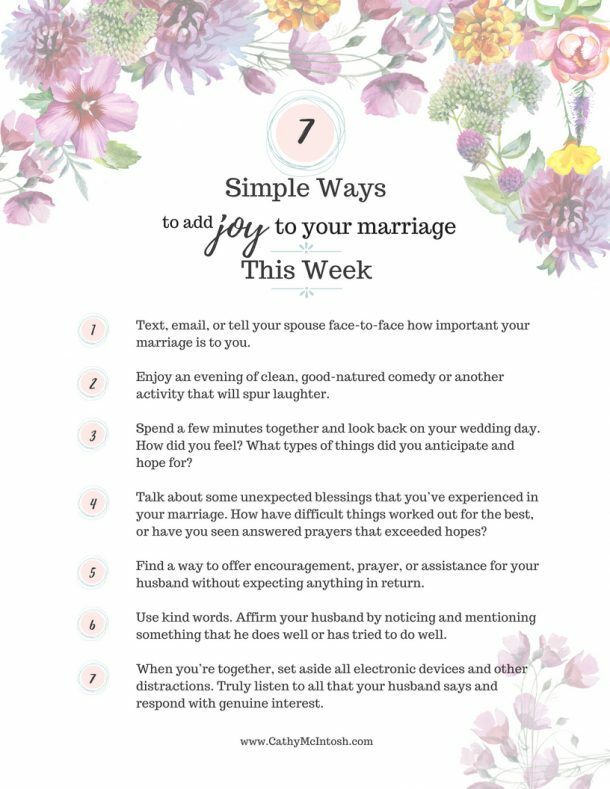 In fact, I’ve compiled a lovely, printable list of 7 Simple Ways to Add Joy to Your Marriage This Week. It’s free and ready to download by signing up here. Will you celebrate this month of weddings with me and take deliberate steps toward adding joy to your marriage? Effort poured into a marriage relationship is never wasted. Your determination and focus will pay off, and the results just may prove grander than you imagined or hoped. I also participate in other affiliate programs to promote products and services. Should you make a purchase through a provided link, there is no increased cost to you.